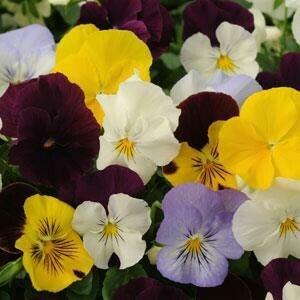 Vigorous mix of yellows, whites and purples. Trailing habit makes it ideal for baskets or in the garden. Blooms hold up well in rain and weather.